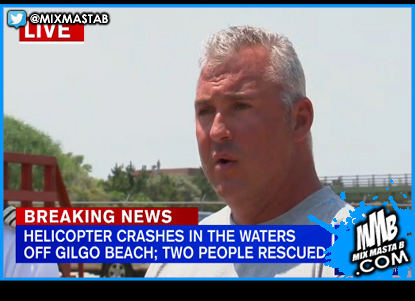 A small helicopter carrying the WWE's Shane McMahon, son of company owner, Vince McMahon, and one other person, had to be rescued on Wednesday after it landed in the Atlantic Ocean. According to WABC in New York, McMahon's helicopter departed Westchester County Airport, when at some point, a commercial flight heading to Kennedy Airport heard the emergency call, and relayed it to controllers at a FAA radar facility. Emergency responders picked up McMahon and his pilot and ferried them to shore. Somehow, they came away from the incident without any injuries.